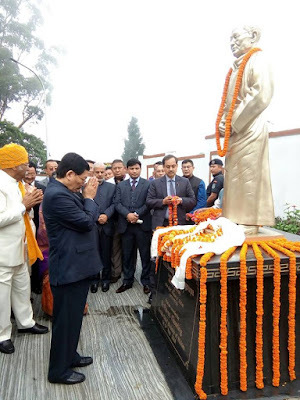 Sikkim observed its 41st statehood by offering khadas and prayers to the statue of Late LD Kazi the first Chief Minster of Sikkim at Chintan Bhawan Complex, Gangtok. The first batch Sikkimese devotees of Kailash Mansarovar Yatra were handed over with reimbursement cheque amounting one lakh and fortynine thousand only from the hands of Honourable Minister, Tourism & Civil Aviation Shri Ugen Gyatso Bhutia in presence of CEO of STDC, Secretary Tourism and other officers of Tourism Deptt and STDC. 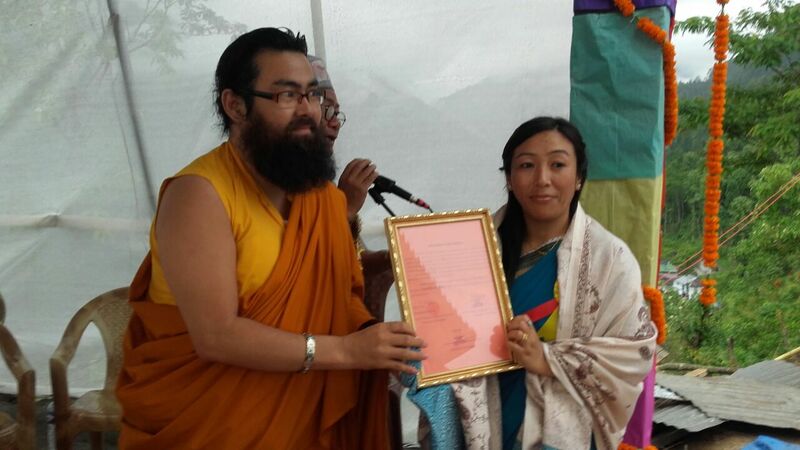 The total of 21 devotees were enrolled in the first batch of K.M.Y via Nathula in the year 2015. The Minister, Tourism Secretary and CEO of STDC congratulated the devotees for the successful completion of holy pilgrimage. The devotees thanked the government by offering traditional khada and bouquet to the Minister. 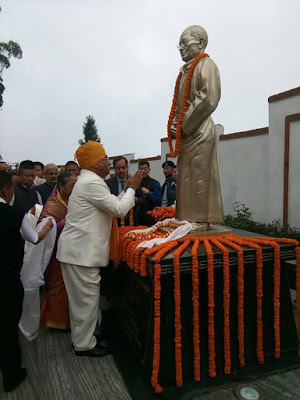 The devotees expressed their gratitude towards the Honourable Chief Minister for making pilgrimage tour to Kailash Mansarovar via Nathula a reality. Message of HCM, Shri Pawan Chamling on the inaugural function of newly built boy’s and girl’s hostels at Government Senior Secondary School and Namchi Girls Senior Secondary School at Namchi, South Sikkim. I extended my best wishes to the principals of both Government Senior Secondary School and Namchi Girls Senior Secondary School for acquiring the new structures. The present State Government’s relentless efforts in uplifting the society and the state by introducing developmental projects in spheres such as education, health care, tourism, commerce & industry, technology, agriculture and animal husbandry, manufacturing and food industry. 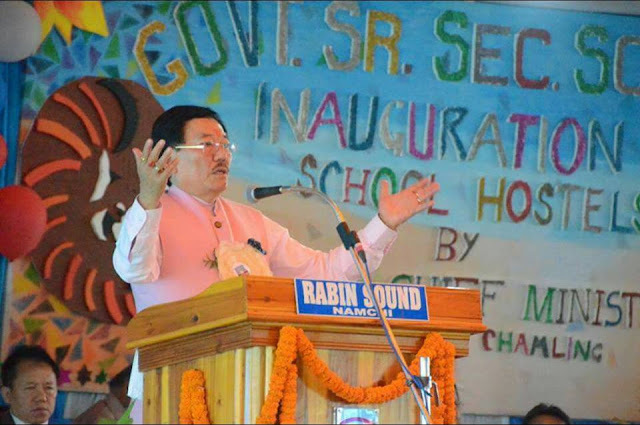 I sought the participation of the educated and intellectual class in contributing substantially for the holistic development of Sikkim that puts the state at par with the other developed first world nations of the world. I emphasized the need for students to encompass a wide-range of knowledge and skills which is relevant, constructive, in-demand and universally applicable to face the competitive challenges of the 21st century. Education has always been a priority of the present State Government and that there are ample amount of schemes and policies in the education sector particularly for the students belonging to economically weaker background. I The various schemes under the present state government such as free education upto college level, free post doctorate education for the BPL students in central universities, educational funding of students under the CMMS scheme for students who are academically proficient. The need for life oriented and value-based learning in the school curriculum as it stimulates mental and emotional growth within the students. 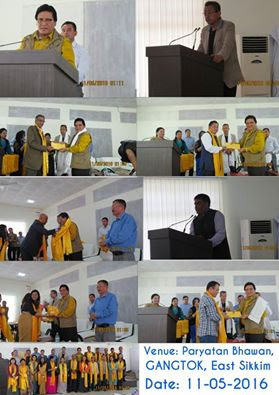 The state sponsored free coaching programs for IAS, NDA and other Allied Service for the Sikkimese students and urged them to tap maximum potential out of such opportunities. Speaking to the youth centric crowd, I urged them to imbibe special interest in subjects such as Mathematics and Pharmacy as it offers them a greater scope to acquire employment in the future. I also proposed varied ways and means for the youth to generate income for themselves in an attempt to make their skills commercially viable particularly through Organic Farming.